HiTi P910L was designed to maximize your photofinishing profits by offering high profit larger prints to your customers. The HiTi P910L is compact, light and portabe, making it a perfect printer for events and other on-site printing needs. The HiTi P910L is a compact and light weight printer, weighs only 30lb and is only 13 x 6.9 x 15.6 inches makeing very mobile. The HiTi P910L printer utilizes unique thermal control technology that produces premium quality image in both glossy and matte finish. Lab quality imagess can be produced swiftly. 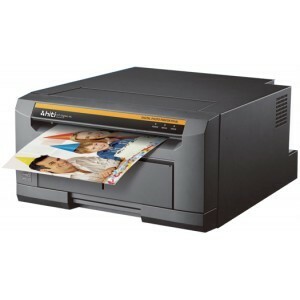 It is a high speed, jam-free printer. More print size options for different occasions and demands. Lower cost of ownership leads to higher ROI and quicker return on your investment.